Celebrate your current or aspiring youth climber’s next birthday at The Boulder Field. 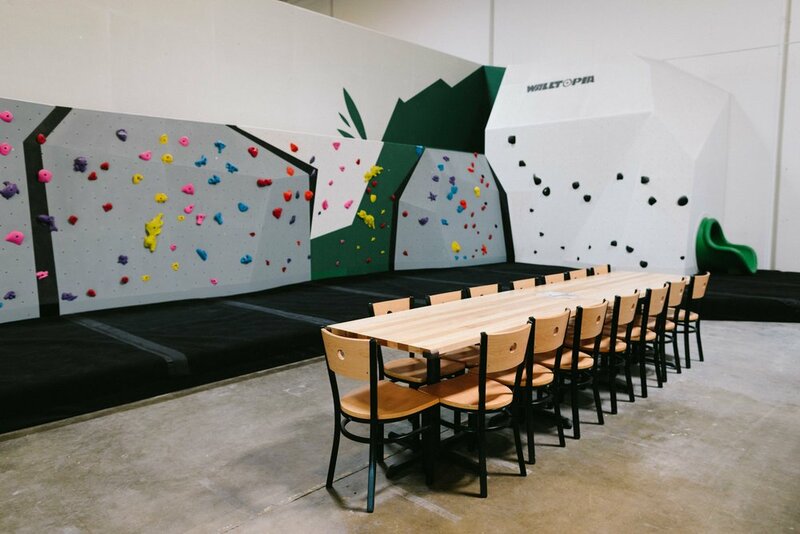 We have a dedicated area for youth climbers, or use of the entire gym for older youth climbers. Our enthusiastic staff will make sure your child has the best birthday party ever! Most weekends, we have four slots for birthday parties for youth climbers and their friends! All birthday party bookings must be made at least a week in advance, and can be reserved up to 90 days in advance. Parties are limited to 24 youth climbers. All visitors to The Boulder Field (including those not climbing, including parents!) MUST have a signed, current waiver on file. All youth (0-17 years) waivers must be completed by the parent or legal guardian in advance of the event. Waivers must be completed here. Climbing is fun, but can be dangerous. We need your help and cooperation in keeping your party a safe and fun experience. Host parents are asked to read all posted general gym rules and youth specific rules prior to arrival. · Registration is available online only and must be completed a minimum of 10 days in advance. Day of registration will not be available.